Booking a Club site couldn’t be easier for both members and non-members. There are four easy ways to book touring pitches at Club sites. You can book a site online using our Search and Book tool. To book online, you need to register with the website and log in before you begin. Download our free UK Sites App to easily browse Club sites and book a pitch, wherever you are. You can call us on 01342 327 490. View our contact centre opening hours. You can directly call all the sites. You can find their phone numbers on the site details pages. You can request a postal booking form by calling 01342 327 490. Members can also book Affiliated sites and Certificated Locations. You can call the site direct to confirm prices and to make your booking. Contact details can be found on the individual site details pages or in the Sites Directory & Handbook. Please remember to check booking terms and conditions with Affiliated sites and Certificated Locations at the time of booking, as these may vary from Club-owned and managed sites. To book a seasonal pitch or storage pitch, download the advance booking form and return to us by post. Please mark clearly if you have more than one choice of site, or if you would like to make a booking for more than one set of dates. Don’t forget to read the terms and conditions, sign the Declaration box and include payment details, or we won’t be able to process your booking. To secure your pitch we’ll take payment at the time of booking by Visa, MasterCard, cheque or direct debit. If paying by direct debit, this can be a single payment or four equal consecutive monthly instalments (as long as the fourth instalment is paid before the end date of the pitch). The first instalment will be debited approximately 10 working days after your booking is confirmed. If your chosen site is fully booked, we will contact you to let you know that we’ll hold your details on a waiting list. If a pitch becomes available at a later date due to a cancellation and we have more than one application on the waiting list, we’ll select a form at random. To book all-year storage, please contact the site directly. To book a seasonal pitch on an Affiliated site, please contact the site directly. What types of bookings can be made through the UK Sites App? Bookings for caravans, motorhomes and trailer tents can be made through the app however tent bookings cannot. 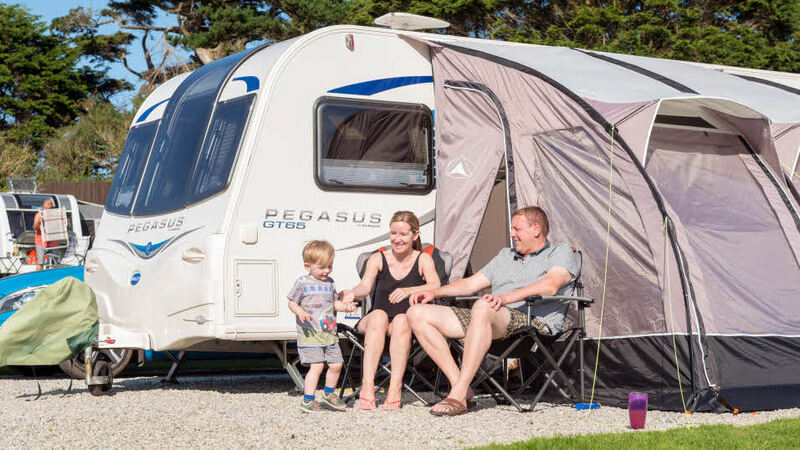 Please note that the UK site app only includes sites in The Caravan Club’s UK site network and bookings at continental sites cannot be made through this app. Can non-members make bookings through the app? Only Club members can make bookings through the app. Non-members can find sites of interest and contact them easily by phone through the app.